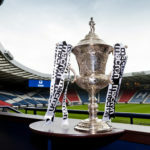 We look forward to welcoming Auchinleck Talbot and their supporters to Newlandsfield this weekend in the last 8 of the Macron Scottish Cup. All supporters are advised to arrive early as a large crowd is expected. Kick off is at 2:15pm and admission is priced at £7 for adults and £3.50 for concessions. As always, supporters are reminded that no alcohol is permitted within Newlandsfield and any disappointment or expense from attempting ignore this rule is not the responsibility of either club. Today’s match away at Glenafton has been postponed due to a frozen pitch. 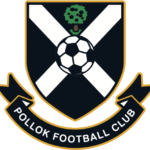 Because of other postponements, the fixtures for next week have been revised and Pollok will now host Troon, rather than Renfrew. 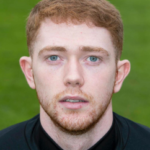 Aaron Millar’s loan from Clyde has now expired, and the forward has now returned to Broadwood. Having initially made his debut at Newlandsfield vs. 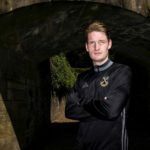 Rob Roy back in August, he found game time difficult to come by at Pollok and has now been loaned out to Arthurlie by the Bully Wee. Best of luck for the future, Aaron. 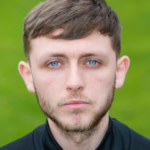 Pollok FC are delighted to announce the arrival of Scott Anson to Newlandsfield on a deal until June 2020. Scott and I go way back to our days at Hamilton Accies. He will add much needed competition in the forward areas and brings a threat in the air. Scott is a proven goal scorer at Premier League level with 16 goals this season alone. 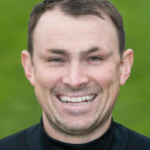 Scott has also played for Kilmarnock, Annan, Montrose and Bo’ness. 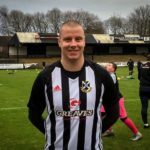 Happy New Year and welcome to Newlandsfield, Scott!